This week was all about learning the difference between living and nonliving. I was super impressed at how well our kids grasped these two things. 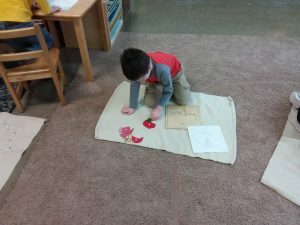 We had fun reading a variety of books, drawing living and nonliving pictures then separating them into the correct categories, singing songs, and a few other fun activities. It was a really fun week!! This week three of our friends got their very own journals! 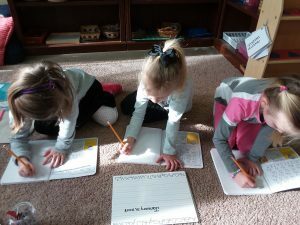 In our classroom our friends are able to work on their journals at any point during the day. I have a jar that is filled with different writing prompts that they are able to choose. 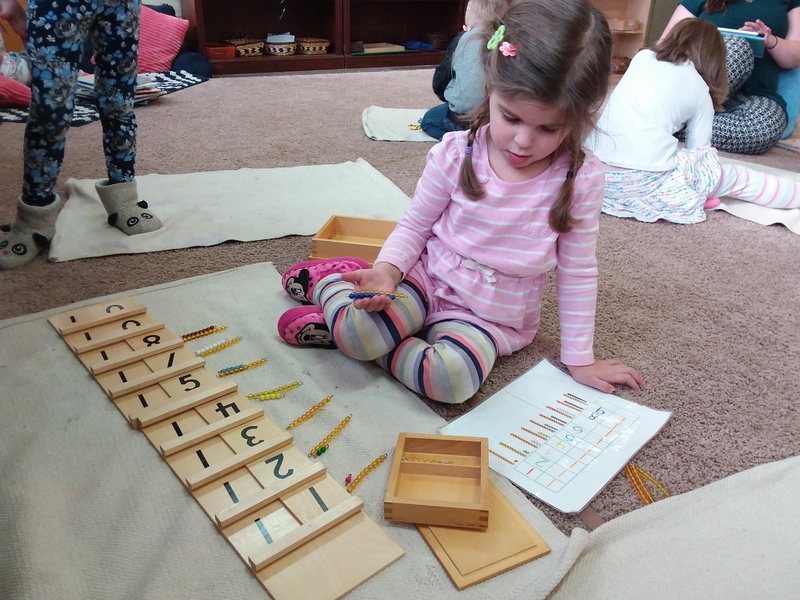 When working on the teen board the children are able to associate the numbers 11 through 19 with the symbols. When working on our plant and animal puzzles the children are taught the proper names of the different parts of the plant and animal. Children also gain fine motor and pincher grip skills when picking up the pieces. 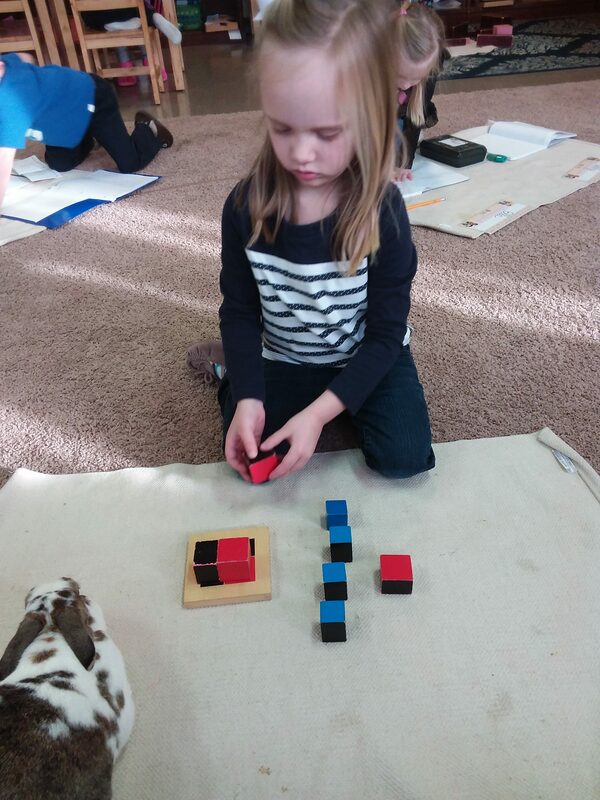 The binomial cubes purpose is for the child to construct the cube according to shape and color. Today we celebrated our 100th day of school!!! 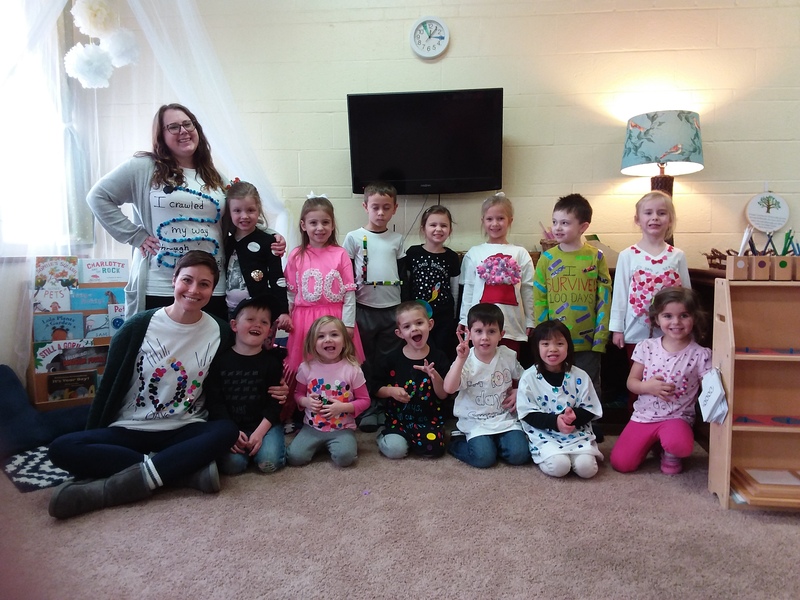 We had a blast going on a 100th day scavenger hunt, making 100 day crowns, drawing what they would buy if they had a hundred dollars, and much much more!! Next week is all about nocturnal animals. We will explore the different animals who only come out at night with a Venn diagram, songs, crafts, and different activities that help them get a better understanding!